Information Night Sept 2016-The night was a great success and Christy received lots of positive feedback. Club Gear- Christy conveyed his thanks to Norma and her daughter Lara for arranging fittings and ordering club gear. Quiz The quiz raised approximately €1900, Christy thanked Niall O Connachtain for setting the questions. Overall the night was a great success. Cake Sale Christy thanked Caroline Caslin for co-ordinating the event. Funds of €2200, raised from the sale , has been lodged by Christy. Mission Trip 2017 Christy had to change the venue of this year’s mission trip. The original plan was to go to Ethiopia, but since a State of Emergency has been declared, Christy has rerouted the trip Kenya. Portugal Trip The Easter Trip is growing in popularity, there is an increasing demand for places. Priority is given to students. To qualify for a place on the trip on the trip it is essential to be a member of the Willow Wheelers. Denis read the accounts and thanked Dan Ferrari for his assistance. He also acknowledged the work done by John Beatty in managing subscriptions and Tony mc Cluskey who has made an outstanding contribution to the club. Denis explained that the club has 2 separate accounts, one for club expenses and another for the Mission Fund. 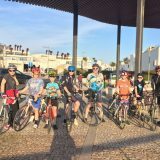 All monies raised from the 100 mile cycle are lodged in the Mission Fund Account and go directly to mission projects. Subscriptions are up this year reflecting a stronger membership. Denis thanked Topaz for their sponsorship and said the club would like to hear from businesses or individuals who are interested in sponsoring the WW. A surplus of €6492 has accumulated in the club’s expense account over the years. Suggestions regarding how the money could be used, for the benefit of the club, would be welcomed by the committee. Cycling Ireland have changed their online payment system from Pay Pal to GOCARDLESS. Justin mc Kenna noted that Cycle Ireland offers a discount to members paying online and asked if the club are entitled to the same discount. The committee will contact Cycle Ireland to clarify if the club can avail of the discount. John said, it is better for members to pay through the club as he keeps an account of everything. Ken advised members to read the conditions of insurance provided by Cycle Ireland, it is worth joining Cycle Ireland but the insurance cover is limited and members should consider other health insurance cover. 5th Formers start the Sunday Cycles in March, new members will be added to the Database. Meetings have been held about the revised trip and most of the arrangements are in place. 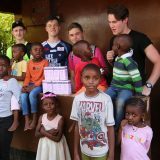 This year there is a large group of 39 people including 12 students travelling to Kenya. There will be a lot of travel during the 10 day trip, Christy has been in constant communication with his contacts in Kenya to organise an itinerary. The final cost of the trip is €1450. There are 181 members travelling to Portugal during Easter. Owing to the size of the group Christy had the onerous task of organising flights, accommodation and transportation of bikes. The situation was compounded by members organising their own flights and accommodation. There is a possibility of a trip to Donegal in June. Christy suggested using funds from the expense account, mention by Denis, to subsidise students’ trip costs, he would also like to invite 5th formers on the trip. To assess the level of interest, in the trip, Ken suggested sending an email to club members. 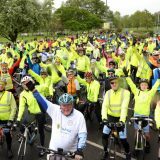 This year’s 100 Mile cycle will take place on the 30th April. Members associated with companies were asked to look for sponsorship. Christy suggested having ‘cycling team’, offering an alternative to those who would like to like to cycle part of the route. The Order of Malta will provide a three hour course in March. An email has been sent to members, places are limited. Ken pointed out that the committee are keen to have a number of trained First Aiders in the club. John Piggott is willing to give a bicycle maintenance course including a guide to using gears correctly. Ronan Murray suggested forming a new section of Willow Wheelers for parents of students who have left the college. Some parents would like to continue the Sunday Cycles but he felt that there is no structure for parents whose sons are no longer in the club. Denis said that there is an existing group (with WW connections), cycling on a regular basis, and suggested contacting them. Christy will arrange a meeting. The committee invited a past parent to join the committee. Ronan Murray nominated Brian O ‘Neill seconded by Brian O’Sullivan. Ken suggested having a representative of the Wheelerettes on the committee. Edna nominated Caroline Caslin seconded by Mirette Slattery. Christy proposed that the present committee remain in block with the addition of two new members. Ken asked members if they were happy with the level of communication as a lot of work has been done since the AGM last year. There was general consensus that communications has vastly improved. Members particularly welcomed the new website. Christy complimented Tony on the work he has done on the website, saying that Tony keep the website up to date.